The dust is settling on the ninth Big MathsJam, and before I get too sad that it’s nearly a year until the next one, I put down some thoughts about what was so good about this one. 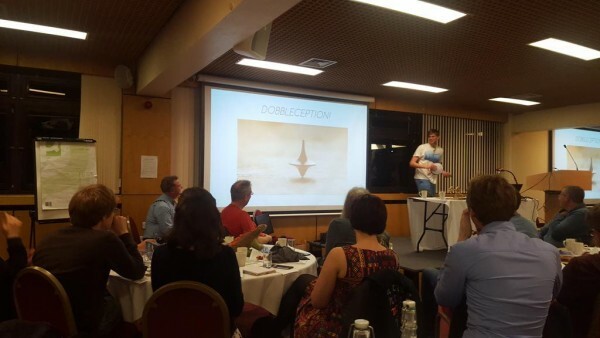 The talk summaries and slides from last November’s MathsJam conference are now online! MathsJam is a monthly maths night that takes place in over 30 pubs all over the world, and it’s also an annual weekend conference in November. The conference comprises 5-minute talks on all kinds of topics in and related to mathematics, particularly recreational maths, games and puzzles. The talks archive has now been updated with the 2015 talks – there’s a short summary of what each talk was about, along with any slides, in PPT and PDF format, and relevant links. I know I usually write up the goings-on at Manchester MathsJam, but since I spent much of the last month ‘In Residence’ at the University of Greenwich, I spent the second-to-last Tuesday evening of May at the London MathsJam. Here’s a summary of what transpired. 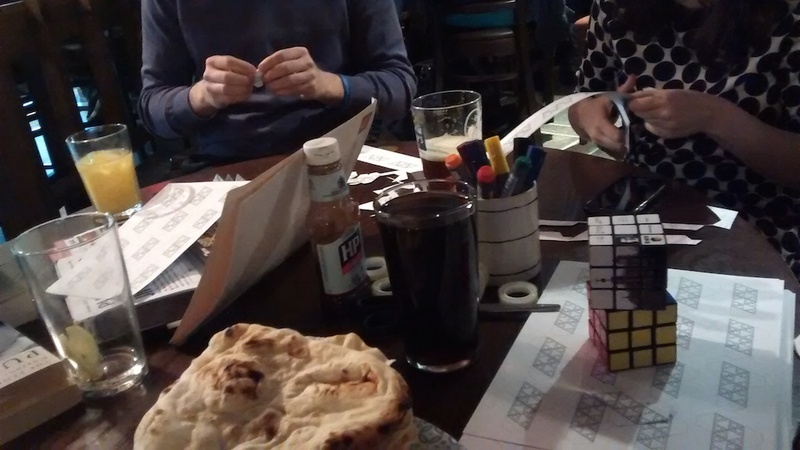 Manchester’s first MathsJam of 2015 (and indeed, all the other first MathsJams of 2015 in cities all over the world) met on 20th January, rousing us all from a Christmas-induced slumber and gently easing us back into a year of recreational maths. Here’s a round-up of what we did. Since I haven’t written a MathsJam recap for a few months, due to extreme busyness, this post will recap things which happened at December’s MathsJam as well as some other things I found in the pile of scrap paper when I went to tidy it all away over New Year. Well! 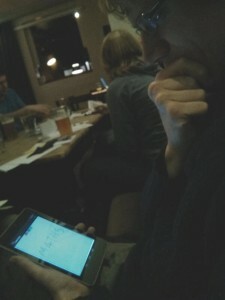 I have been quite remiss in writing up the Newcastle MathsJams. The last recap published was for May’s meeting. The end of the year (and associated holiday) is a good time to kick myself up the backside and do the entire second half of the year in one go. So, here’s that.